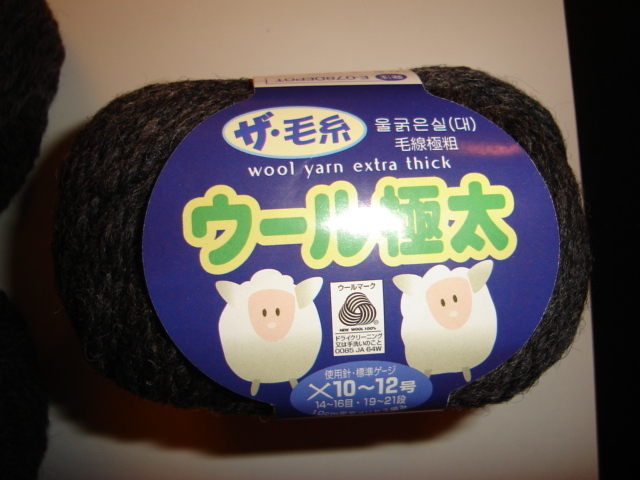 Craftster Community > KNITTING > Knitting: Discussion and Questions > Cheap Wool Yarn @ Daiso in Aberdeen Centre!!! Cheap Wool Yarn @ Daiso in Aberdeen Centre!!! Charcoal grey, 100% wool chunky weight (3.5-4sts to 1") yarn! Woot! They have several different weights of yarn, and a pretty okay color selection. They have 100% acrylic and wool/acrylic blend too. And its all 2$ a skein, because everything in the store is 2 bucks! They also have bamboo needles and plastic ones that look like the Crystal Palace Daisy needles. Re: Cheap Wool Yarn @ Daiso in Aberdeen Centre!!! Did you see that stuff that claimed to be wool/mohair too? I couldn't see any percentages, so I left that one back. I got some of the chunky and some of the stuff that seemed closer to worsted. I've tried them out on various needles - I just have to block them to find out the gauge and right needles for this wool. It's pretty nice for what you get, too. Maybe a little "rustic", but Noro's like that too and it costs at least 5 times as much! I'm soooooo jealous. I live in an area completely devoid of fun random asian imports. the itty bitty Korean market (which I adore) wouldn't even have room for yarn, it's the size of a closet! Chuck Norris does not knit. He bangs the table, and the shockwaves force the yarn to create clothing. 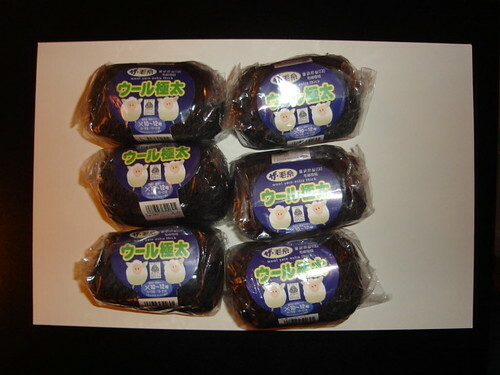 Cute cheap japanese yarn awsome!